Guess what! Um, no, that's not it. Guess why! Nope, not it either. Ah, guess who!?! Humans have been breaking a leg for some time — both figuratively on the stage and in real life. 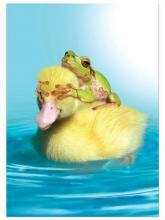 But what about our pets when they incur injuries related to their bones, joints or feathers? Mom? Dad? I just found this alien from the planet Furballlis 9 under the refrigerator. Don't worry. I will save us all! I have one bit of advice for you if you want to bathe your cats: start when they're young. Otherwise, wear heavy armour. 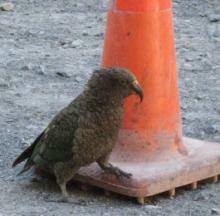 Kea parrots in New Zealand have been caught on camera shifting traffic cones into active lanes in a clever ploy to coax food from passing vehicles. The 4th of July is coming up soon and we will be celebrating American independence with the time-honored barbecue. 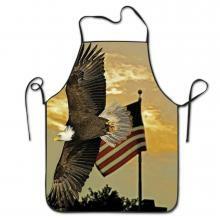 Make sure animals are included with this cool American Eagle BBQ Apron. Okay, Charlie, I know it was my idea that we join the police force, but this isn't what I had in mind at all!